The 8-25x25 Zoom Monocular Microscope from Barska combines the practical availability of a compact and light monocular with the functionality of a field microscope. 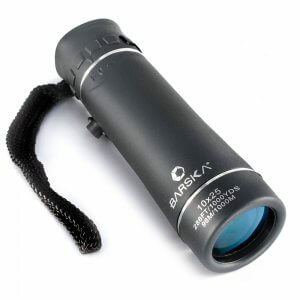 The 8-25x magnification of the monocular allows scanning a wide field of view and then narrowing in for finer detail. A 25mm objective furnishes a more than adequate amount of light transmission. With the addition of a plastic tube inserted over the monocular tube the optic is transformed into a microscope useful for viewing tiny field samples. 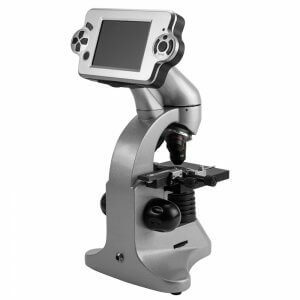 The 8-25x25 Zoom Monocular / Microscope has a tactile focus knob and grip ring providing a firm and slip resistant focus. The Barska 8-25x25 Zoom Monocular Microscope is ideal as a portable magnifier and monocular and also works great for household use. 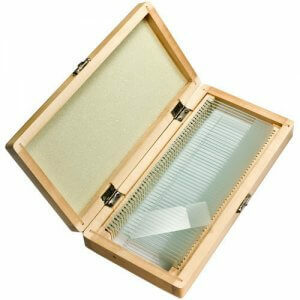 This Barska monocular includes a strong plastic magnifying chamber which attaches to the monocular to view specimens. 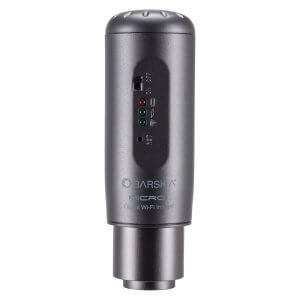 With 8-25x zoom magnification and a close-focus distance of less than a foot, the Barska Zoom Microscope/Monocular makes for hours of comfortable viewing of subjects near and far. The fully coated 25mm objective lens allows plenty of light into the microscope. 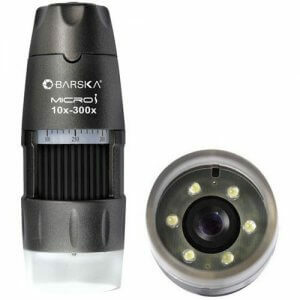 The Barska 8-25x25 Monocular and Microscope includes a wrist strap and case. Love this little monocular/microscope, easily fits in my hand and the see-thru chamber is a nice little attachment. Focus is sharp and clear.